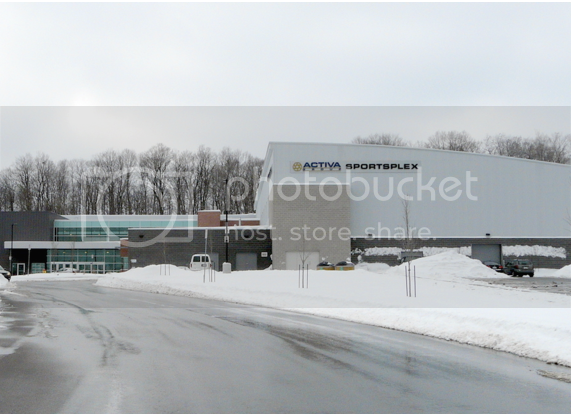 Activa Sportsplex is a 108,487 square foot multi-purpose athletic facility. Activa is a facility that thrives on energetic lifestyles of the young and old alike. Individual growth and skill development are encouraged through the various amenities offered, and a zest for life fills the building. More than just an arena, it’s an outstanding community athletic complex that serves the needs of participants in ice sports, summer indoor sports, boxing, as well as recreational walkers. By providing more recreational facilities for residents to use year round, the environmentally friendly Activa Sportsplex helps the city to achieve its objectives of improving the quality of life for its residents and minimizing its carbon footprint on the environment. 536 ft. 555 ft. 574 ft.
162.4 m. 168.2 m. 174 m.